The Oxfordshire-based company impressed the judges with details of its environmentally-friendly sourcing programme, segregation of waste materials, and its involvement in carbon offsetting. 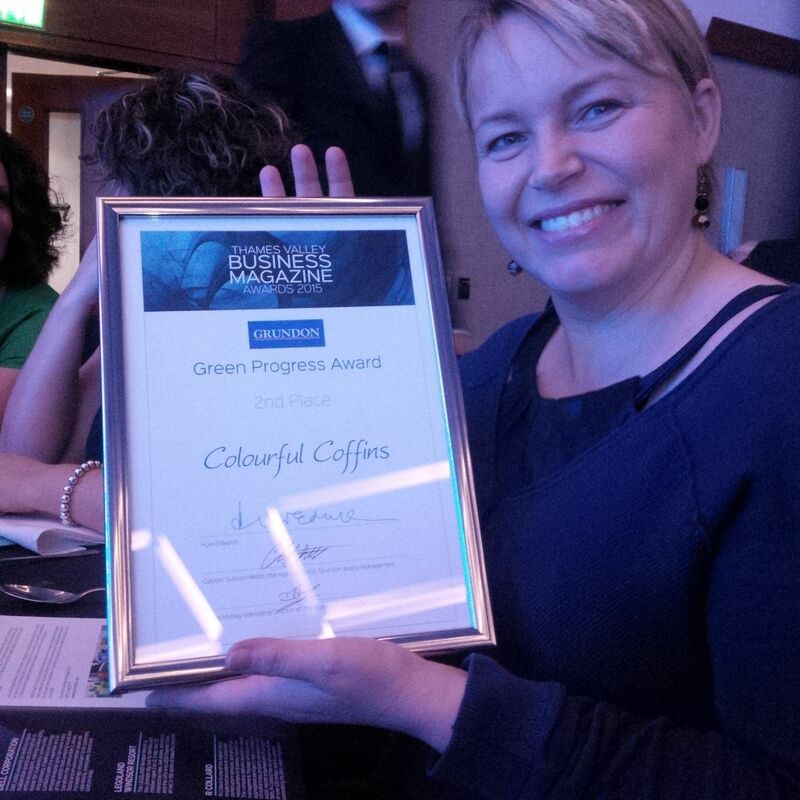 The Green Progress Award is sponsored by Grundon Waste Management and Anthony Foxlee-Brown, marketing and communications manager, who was one of the judges, said: “We were extremely impressed with Colourful Coffins’ commitment to environmental issues and the fact it is always looking for new ways to improve waste and recycling. 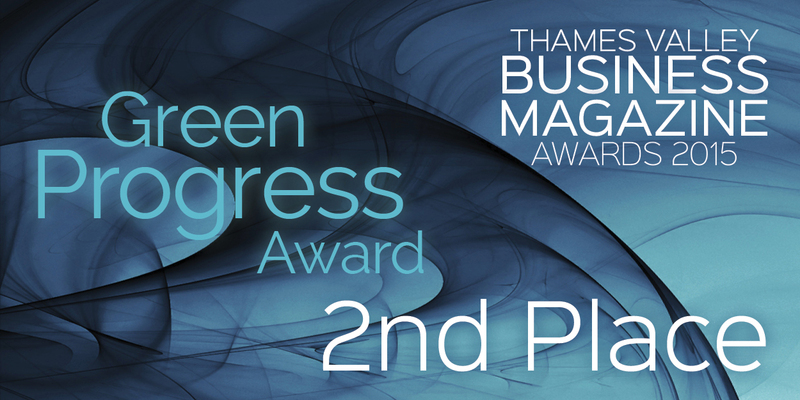 The Green Progress Award itself was taken by LEGOLAND Windsor Resort, with the winners being announced on November 19 at the Royal Berkshire Conference Centre, at the Madejski Stadium, in Reading. Highly commended were R Collard Ltd and Dell Corporation. 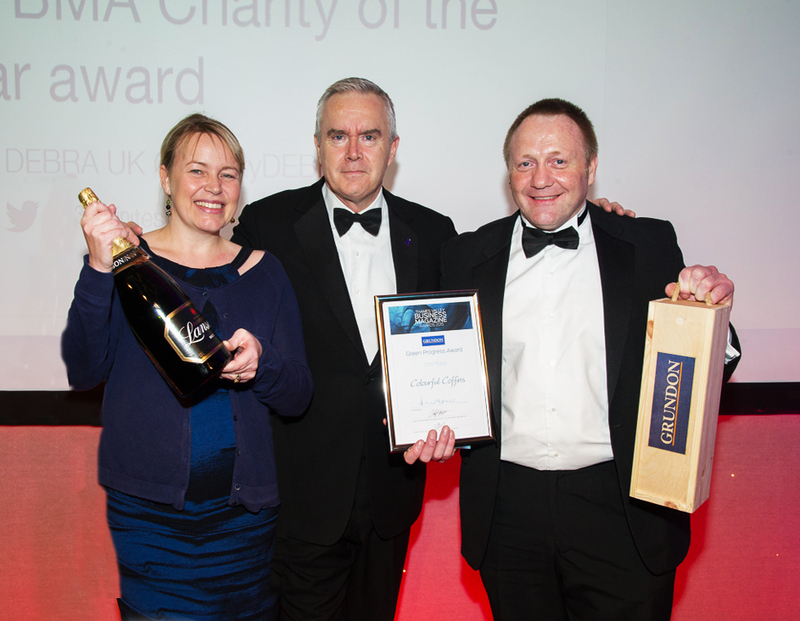 Colourful Coffins’ managing director Chris Lima was presented with the runners-up certificate and a bottle of champagne by guest speaker Huw Edwards, broadcaster and anchor of the BBC Ten O’Clock News, together with Clayton Sullivan-Webb, Grundon’s managing director. Speaking afterwards, Chris said: “We are absolutely thrilled. To come a very close second to LEGOLAND Windsor Resort is praise indeed and we are delighted that our efforts in becoming a more sustainable and environmentally-friendly business have been rewarded. Among its green credentials include only using wooden coffins from FSC-accredited companies with sustainable sources; and ensuring its cardboard coffins are made from 100% recycled paper. Materials such as cardboard and paper are now segregated for recycling and kitchen food waste is also collected separately for anaerobic digestion, helping to generate biogas and bio-fertiliser. In addition, the company partners with environmental organisation Climate Care to offset the greenhouse gases each time one of its coffins is cremated and plants a tree in its own memorial woodland each time a Colourful Coffin is buried.